This blog is one of this year’s Alumni Project Fund proposals. Throughout the next few weeks, we will be rolling out the project proposals on our blog. If it’s an idea that strongly resonates with you and that you support, hit the ‘like’ button on the Facebook post we share about it or leave a comment at the bottom of each blog entry. Whichever project receives the most votes and comments will automatically advance to the final round of grant selection. G-Roots’ idea is to initiate the pilot implementation of a solar-powered drip irrigation system in the Builsa District of northern Ghana. In an area where agriculture is the primary means of sustenance, the rainy season poses serious issues – for example, what if it doesn’t rain? This problem presented itself to farmers in 2013. Almost all the farmers in the region suffered crop failure. Impact assessments in the project area revealed severe crop failure. While droughts have occurred in the past, last year was an anomaly and the probability of it occurring again soon is low. Nevertheless, the ability to control water is an aspect of farming that issues like drought emphasize. The solar-powered drip irrigation system allows farmers water control, which is important for two reasons: a) it allows farmers to have power over this crucial agricultural input, and b) it allows farmers to remove their dependency to rain water, allowing for significantly higher harvest potential. In reference to the latter point, year-round irrigation allows families to farm during the dry season, which is the season where employment opportunities are particularly scarce. Project Builsa is a unique and innovative idea bringing together the old and the new. It builds on the strength and knowledge of community members by improving their access to solar and drip technology that can assist them in many aspects of life. This radically changes centuries of dependence of rain water for sustenance. G-Roots is a Toronto-based non-profit organization created with the mission of providing organizational and financial assistance to self sustainable poverty alleviation projects. 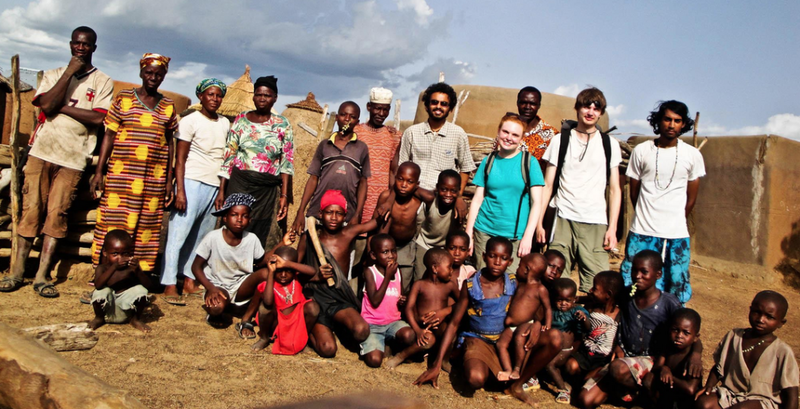 G-Roots finds its own roots in the town of Sandema in the Builsa District of Northern Ghana. In 2009, Executive Director Misbah-ul Haque was approached by Joseph Abobte – a prominent citizen of Sandema and coordinator of Horizons Children’s Centre, a Canadian orphanage in the town – about an idea he had for a seed-based loan system to alleviate the poverty levels in the Builsa District. And, as so, the seed was planted for Project Builsa. Procure funding to test and perfect a self-sustainable irrigation method by mobilizing local and international partners/expertise. Procure funding to approach local and international educational institutions to track progress, and create partnerships which will assist with implementation and scale-up phase. Develop networks of transportation of crops to markets that have a high value for them. Develop an income-generating method, system for tracking success/failure, and strong partners that can generate local Ghanaian and international support for scale up. Strengthen local capacity through institution building that can support farming-based programs that encompass exposure to technology, market-chain enhancement, financial planning and personal investment. Engage in a movement that aims to change a) the distribution of capital, and b) perceptions of development. Project Builsa has been an exercise in cross-cultural exchange since its inception. It was initiated because of a conversation between subsistence farmers in the Builsa District and OG backpackers, and that ethos has remained at the core of our operations. G-Roots has a stable presence in the Builsa District, and a healthy relationship with Operation Groundswell program leaders and participants. G-Roots has been engaging OG West Africa program participants since 2010 by partaking in various research and learning opportunities. WANT TO SUPPORT THIS IDEA FOR POTENTIAL FUNDING? COMMENT BELOW AND TELL US!